Dave flew out of O’Hare today, without any altercations, but of course he didn’t fly United. The Twitter-verse has been having too much fun with that meme. He sent this photo, which I placed as being taken near the foot of Beacon Hill, with the Back Bay in the distance. I had to lookup what an esplanade is, it is a long, open, level area, typically beside the sea, along which people pleasure walk. He will be in Boston for the rest of the week, meeting with his Harvard colleagues. I still can’t get over the fact that he could choose to work there as a Post-Doc. The boy has done well. Next week, he’ll continue heading east to Brussels and meet his alternative colleagues. In total, he will be two-weeks on the road. I setup his phone for Europe and chose a simpler plan than what we used in London. We had opted for a fixed price plan that didn’t offer all that much data. I knew that we were in trouble, when I received a text from AT&T saying that I had used 90% of my data and it was only day two. We ended up incurring overages. Dave’s plan is $10 a day for unlimited text, calls and data. This plan will be good not only in Belgium, but also in neighboring France and Germany and also Ireland and Poland, both of which he will be connecting through. It will work in about a hundred countries, but interestingly, it does not cover Holland or Luxemburg. It also doesn’t cover the United Kingdom, but it does cover Wales, which I always thought was part of the UK. This entry was posted in Family, Life, Photo, Photography, Technology, Travel by RegenAxe. Bookmark the permalink. 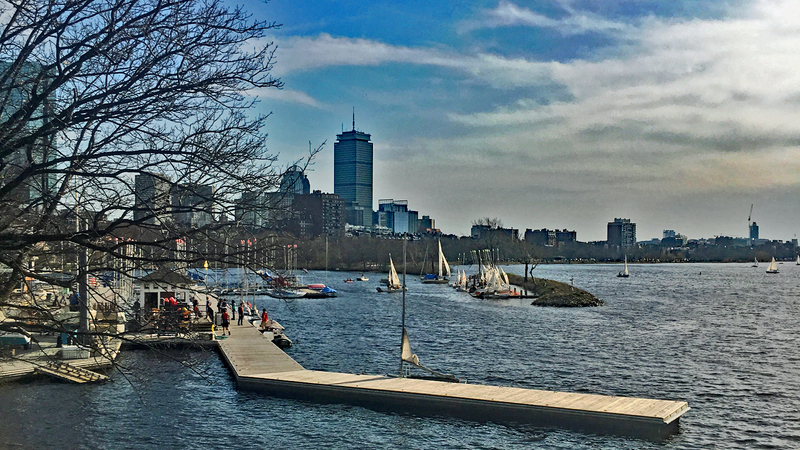 Google has street views in the middle of the Charles River.